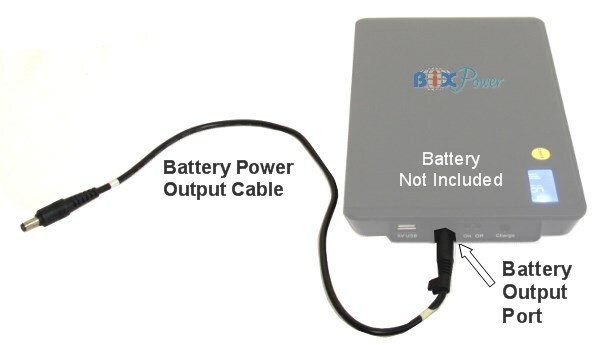 This DC Power Output Cable is special designed for our MP100 & UP100 external batteries. 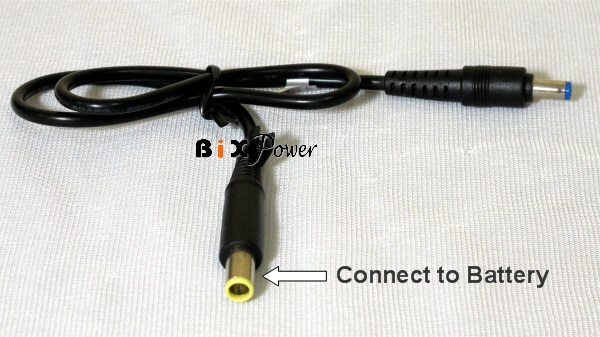 Its one end is a standard 5.5 x 2.5mm barrel connector with 5.5mm outside diameter and 2.5mm inside diameter. Its another end is a special connector that fits our MP100 & UP00 battery output port. This output cable is for using with our MP100 & UP00 batteries only. It may not work for other applications. This output cable has built in micro chip that can change the MP100 / UP100 battery output port voltage to different voltage. Please select the output voltage you need when you order this output cable.